Device management has historically been an important part of the role that IT plays in an organization. In fact, this task was so critical that many IT organizations would dictate what their employees could use based on what they could most easily manage. But as the IT landscape shifts to heterogeneous environments now, the question starts to become, “What is the future of device management?” While it is impossible to declare anything about the future with 100% certainty, all signs point to the future of user and device management as cloud-based, multi-protocol, and OS neutral. In other words, the future is shaping up to look a lot like Directory-as-a-Service®. Microsoft owned the IT landscape for many years. In fact, for a while many organizations would even mandate that their users get Windows-based machines. While Windows was a great operating system, the real reason that IT would force that choice was because of the ability to manage the platform. At the time, Unix systems and Mac devices were widely considered superior – but both operating systems came with their challenges. With Linux, ease of use for end users left much to be desired for the general populace. With Macs, a lack of enterprise-grade management options made it difficult for IT organizations to standardize around the platform. In comparison, Windows devices didn’t just have many more compatible applications; Windows featured device management solutions for the IT organization. Since IT’s priority was ultimately to have efficiency and cost-effectiveness – rather than productivity and choice for end users – most organizations opted for a Windows-centric environment. As we know, that perspective started to change in the early 2000s. As Apple introduced their new Macs and the iPhone, the world started to shift. End users wanted to use familiar devices and companies wanted to save money on workstations – and that led to the concept of BYOD (Bring Your Own Device). Meanwhile, AWS introduced the concept of Infrastructure-as-a-Service, which ended up shifting the data center to the cloud. When the data center moved, so did the OS that most IT and DevOps organizations centered around. Linux started to become the OS of choice for servers. Mac started to become more popular with end users. With all of these changes, Windows had fallen to being only one in five devices within an organization. The average organization’s infrastructure was practically unrecognizable from when Microsoft owned IT. With this changing landscape as the backdrop, the question then became, “How do IT organizations manage this mixed platform environment?” It used to be that solutions from Microsoft – Active Directory® and SCCM – were the choice for user and device management. 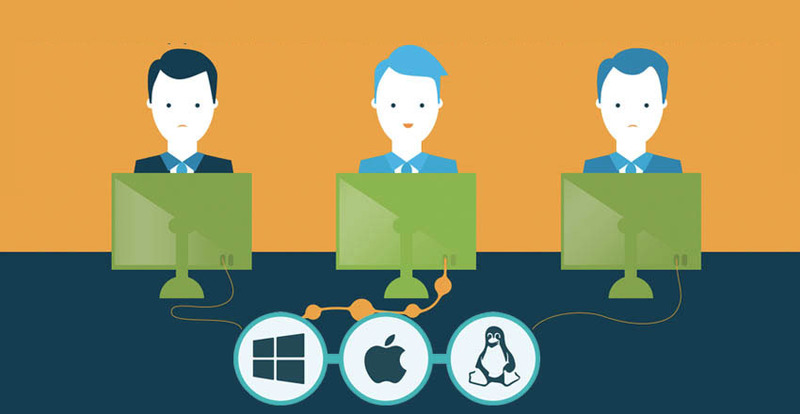 But, with macOS and Linux now a significant part of any IT network, Microsoft IT management tools may not be the best choice for the future. AD and SCCM are highly tuned to Windows and leave a great deal to be desired when thinking about Macs and Linux systems. Fortunately, a new generation of cloud IT management tools has emerged to support hybrid and cross platform IT environments. These modern approaches to user and device management treat all three major OS platforms as equals, with deep capabilities to execute commands, scripts, and policies across them. Called Directory-as-a-Service, the cloud-based directory’s system management capabilities gives admins a single pane of glass from which they can manage all of their systems – whether Windows, Mac, or Linux. Using an intuitive, browser-based interface users can be provisioned access to a system or a group of systems with only a few clicks. Going deeper, JumpCloud’s Directory-as-a-Service includes the ability to run commands and scripts on an ad hoc or scheduled basis. IT admins can write scripts in whatever language their device supports and they get full audit logging on the success or failure of the task. This is all handled from the cloud with no on-prem hardware or software necessary, and is delivered as a SaaS platform. IT admins simply use the platform, and they never have to worry about maintaining anything on-prem again. In other words: device management has finally caught up to the modern era of cloud infrastructure and web applications. IT admins in modern organizations are thinking about the best ways to enable their users to be productive. The old model of dictating what platforms and solutions their employees use is gone, and the new model is for IT to be an enabler for the organization. Having a device management platform that supports those goals and enables IT organizations to provide choice to their end users is a win. 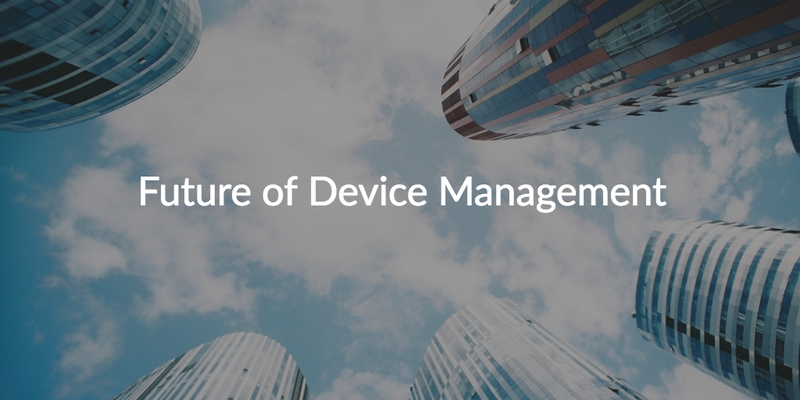 The future of device management is from the cloud, automated, and cross-platform. 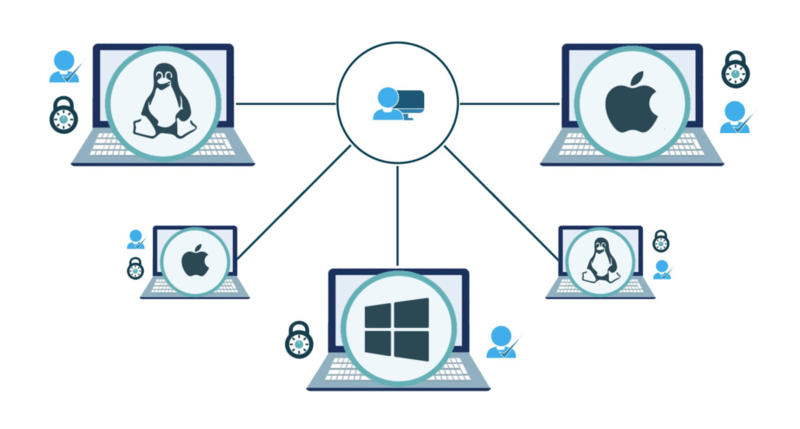 The Windows, Mac, and Linux systems that Directory-as-a-Service can manage can be located on-prem, in the cloud, or in remote offices. If you would like to learn more about the future of device management, drop us a note. Alternatively, feel free to give JumpCloud’s Directory-as-a-Service platform a try and see how it can help support the management of your IT infrastructure – both users and devices. Your first 10 users are free forever.